The foods one eats during pregnancy will either result in a healthy child or have consequential effects. While this can be an exciting time, it can also be pretty daunting based on the mass amounts of advice received from doctors, loved ones, and random strangers. It can be overwhelming at times, especially when you know that nutrition during this time could permanently affect the child’s physiological development! Omega-three fatty acids play a significant role in a child’s brain development. These are commonly consumed through fish and are transferred across the placenta to support the fetus. However, pregnant women are often warned about the amount of fish they should consume due to the risk of exposure to pollutants like mercury. In 2014, the U.S. Food and Drug Administration (FDA) and the U.S. Environmental Protection Agency (EPA) updated their recommendations that women of childbearing age should increase their overall fish consumption—but limit their intake to no more than three servings per week. These guidelines are to ensure that the fetus benefits from omega-three’s, while reducing the fetus’ risk of exposure to mercury. However, limited evidence exists regarding the role of fish exposure and other consequential outcomes, such as childhood obesity. A new study published in the Journal of the American Medical Association Pediatrics evaluated the effects of fish intake among 26,184 pregnant women and the risk of childhood obesity among their offspring. The study included cohorts from across Europe as well as one from the U.S.; researchers evaluated singleton deliveries among the general population. They assessed each pregnant woman’s fish consumption and evaluated their offspring’s growth at birth and every two years up until the age of six. A high intake of fish consisted of eating fish more than three times per week, whereas a low intake of fish consisted of eating fish less than once per week. Most of the women were non-smokers and had a healthy weight status. Their median fish intake ranged from half a serving per week to almost four-and-a-half servings per week. Among women with high fish consumption throughout their pregnancies, their offspring had higher body mass indices at two, four, and six years of age compared to women with low intakes of fish during pregnancy. Among women with high intakes of fish, their offspring were also more likely to have a rapid growth spurt from birth to two years of age as well as an increased risk of being overweight or obese at ages four and six, compared to women with low intakes of fish. Researchers didn’t find the same correlation among women with moderate intakes of fish, consisting of more than once per week but less than three times per week. Consuming fish more than three times per week resulted in an increased risk of rapid growth and childhood obesity. 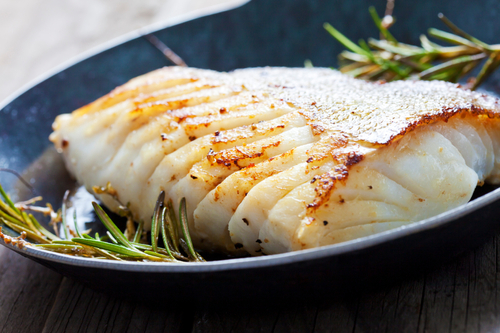 Therefore, according to study results and as outlined by the FDA and EPA guidelines—fish intake should be limited to three servings per week. Stratakis, N., et al., “Fish Intake in Pregnancy and Child Growth: A Pooled Analysis of 15 European and US Birth Cohorts,” JAMA Pediatrics, 2016; doi:10.1001/jamapediatrics.2015.4430, last accessed February 16, 2016.